sailboat. 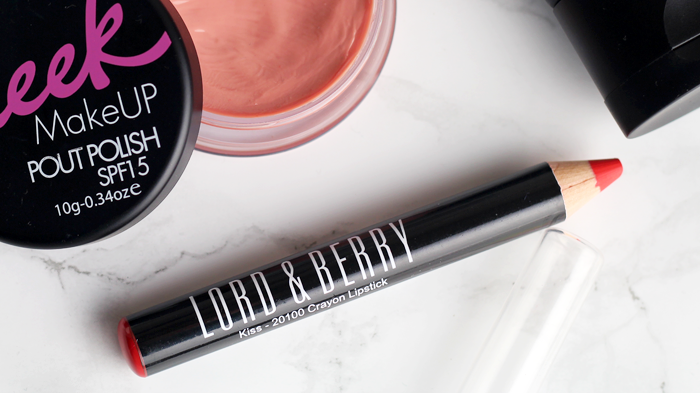 : April Beauty Favourites! 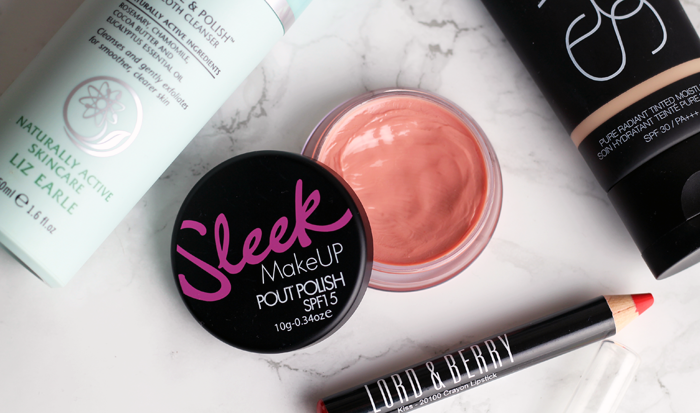 I really need to try the sleek pout polish, it sounds amazing! Lovely photos! I haven't used the cleanse and polish for a long time but I've considered trying it again. I always have problematic skin :( At the moment I'm trying a cleanser by Lush called Ultrabland. It recommends using it for a month so I'm excited to see what difference it makes! I cannot get enough of Sleek's Pout Polish - easily one of my favourite lip products of all time (I just wish it tasted a bit better, but hey, can't have it all!) As a true drugstore foundation lass, I'm becoming more and more tempted to try out Nars foundation or tinted moisturisers as I've only ever heard good things! Hope your skin sorts itself out soon, must be so annoying! 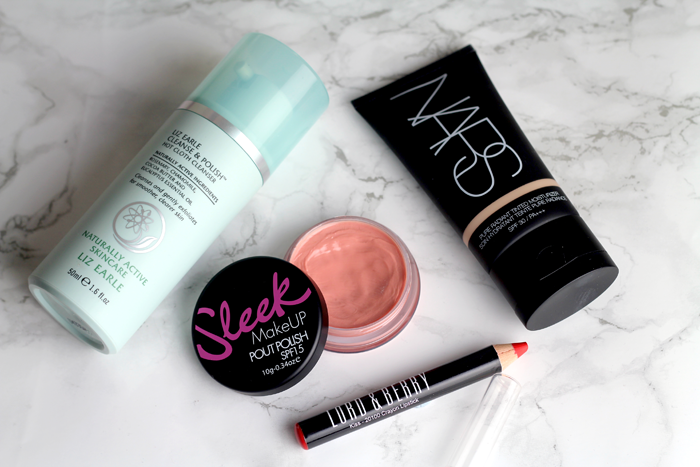 I really want to try the Nars tinted moisturiser! I don't really wear foundation too often, so I think this may be the perfect product for me! 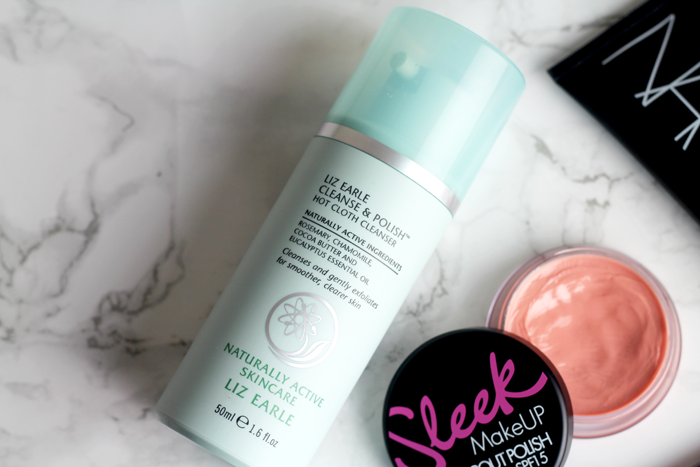 The Liz Earle Cleanse & Polish is just lovely. I've used it at friend's houses and really want to try it for myself. Due to travelling I've been using C&P quite a bit this month. My April has been pretty good, but the amount of work for uni has been such a pain, I can't wait for the semester to finish. That Sleek paint pot looks like the perfect colour! Some great favourites for April for sure! I like Liz Earle but I hate the price I tend to buy No7 hot cloth cleanser when it's on offer as I feel it does the same when my skin is irritable. Love that sleek product, will have to check it out next time I pass a Superdrug. I'm actually still not a huge fan of the cleaner, but if you've been converted then there is hope for me yet! The NARS moisturizer was actually a miss for me. I like their powder products way more! I wish I had more access to Sleek here in the States. I love the C&P, have been a fan for so long! I really hope your skin woes settle very soon. It's so difficult and daunting when going through a bad patch. I rather miss the Li Earle cleanser. It really turned things around for me. 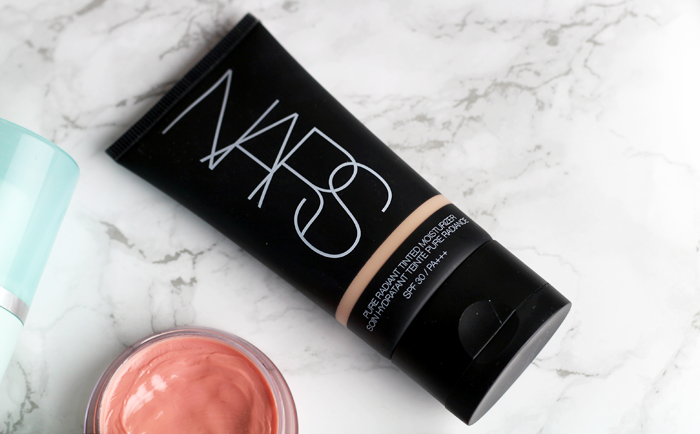 I'm really curious to try the NARS tinted moisturiser. A friend of mine just bought it and she's head over heels, which is odd considering she always hated makeup.